The Make in India initiative undertaken by the Government of India is a force for good that besides addressing the many needs of the Indian society at large would also strengthen India’s position as a technological power. Tapping into our skilled- and talented-work force and also research-potential can help in alleviating the impacts of climatechange and resource-scarcity. As part of the Make in India initiative, both academia and industry should be encouraged to focus their research efforts on sustainable design and sustainable innovations for all round development of this country. Such a sustainability based drive would be in line with the pledge, to undertake more sustainable development, made by India at the most recent Paris summit to join the rest of the world in limiting temperatures to 20C above preindustrial levels. Moreover, coupling the Make in India initiative with sustainable development will help India in developing clean or green technologies in various sectors of a vibrant economy. In other words, clean technologies developed in an Indian context could be exported world over, thereby, making India an exporter of cutting edge innovations. In fact, both China and Germany have made clean technologies a central plank of their strategy to improve quality of life and also economic performance. 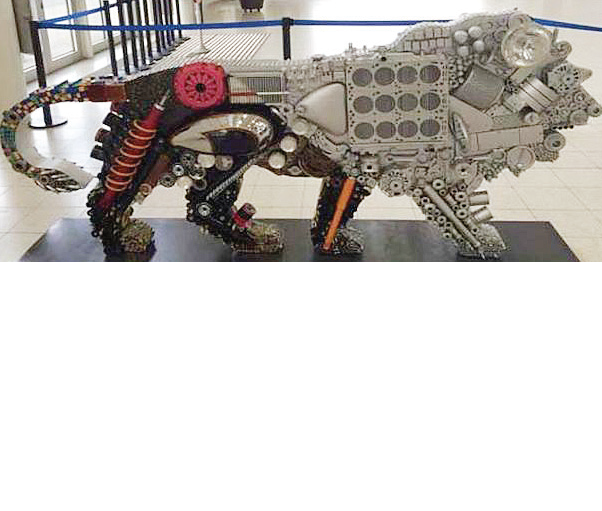 The Indian engineering community within academia and industry should focus on the design and manufacturing (D&M) of products by harnessing the principles of sustainability. The D&M stages are pivotal in fabricating sustainable products in that various hotspots impeding the green credentials of a product can be ironed out through innovative designs and/or innovative manufacturing techniques. Innovative designs are necessary to realize products that are benign to the environment throughout their life cycle, which comprises extraction of raw materials, manufacturing, maintenance and end of life. Consequently, such green products should consume lower amounts of material resources during their fabrication and also minimize, or ideally avoid, emissions of green house gases (GHG) through all stages of their life cycle. In this regard, the advent of frugal innovations (FI) has unleashed thrifty products, whose no-frills designs are undertaken to lower costs that usually translate into lower consumption of materials resources [Rao, 2013].The concept of frugal innovations, with their genesis mainly in India – thus showing India’s potential to innovate under various constraints - followed by China, are now being increasingly adopted by rich nations for maintaining the living standards of their citizens at affordable cost. In fact, General Electric (GE) has utilized the concept of frugality in bringing out affordable and also quality healthcare products, such as the portable Electrocardiogram (ECG) and a portable ultrasound probe that is coupled to sophisticated software residing in a laptop [Rao, 2013]. Actually, what started as a grass roots phenomenon in frugality in India has spread to engineering products that are technologically sophisticated made by developed countries [Rao, 2013]. The Make in India initiative should latch on to the frugal revolution that was launched mainly from India. Research in revamping design- and manufacturing-procedures and also tapping into the progress of science and technology should be utilized to make frugal products that while affordable also uplift the standard of living of the Indian society at large in a sustainable manner. Moreover, frugal products and frugal engineering developed in India can be exported to countries worldwide for battling planetary- and man-made-crises. Other than design, the Make in India initiative should also involve India’s excellent manufacturing base for the betterment of the country. As a matter of fact, manufacturing has a close link with innovations in that bottlenecks in design that manifest during fabrication are corrected mainly by the ingenuity of manufacturing engineers who later make the modified but innovative product. This manufacturing– innovation link is also partly responsible for the creation of the National Networks for Manufacturing Innovation (NNMI) in the U.S. amid fears of off shoring manufacturing and the attendant innovations to the emerging markets. Moreover, products designed with or without the concepts of frugal engineering (alluded to in the previous paragraph) should be fabricated with manufacturing techniques, both old (traditional manufacturing) and new (additive manufacturing), to minimize material wastage and also minimize emissions. Other than benefits of manufacturing to the Indian society, the Make in India initiative should also encourage research and production efforts into the technologies of additive and traditional-manufacturing. Such research efforts into designing core manufacturing technologies will lead to world class capital equipment being made in India for cutting edge applications, involving 3D printing and conventional manufacturing, the world over. Lastly, a critical component in staying ahead of the pack is a strong research and development program, undertaken with the close cooperation of academia and industry, to harness India’s potential in innovations, design and manufacturing for spawning myriads of sustainable products for the betterment of society at large. Therefore, both basic- and applied-research programs should be boosted in India to utilize our superior talents and also excellent culture to develop sustainable innovations for the betterment of our society, which can also be exported the world over. B.C. Rao, “How disruptive is frugal?” Technology in Society, Volume 35, Issue 1, 2013, pp. 65-73. Nature, “News in Focus: India Unveils Climate Pledge,” Volume 526, 2015, pp. 176.